I found a bunch of hilarious newspaper headlines and put them all over my door and next to the pencil sharpener (places in the classroom where teens tend to hang out, you know how it is). 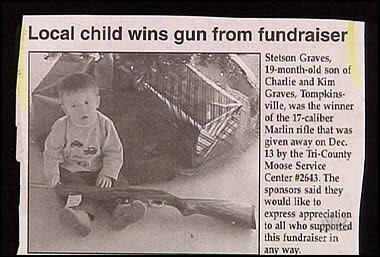 I figured kids could enjoy a good laugh while they sharpened away. 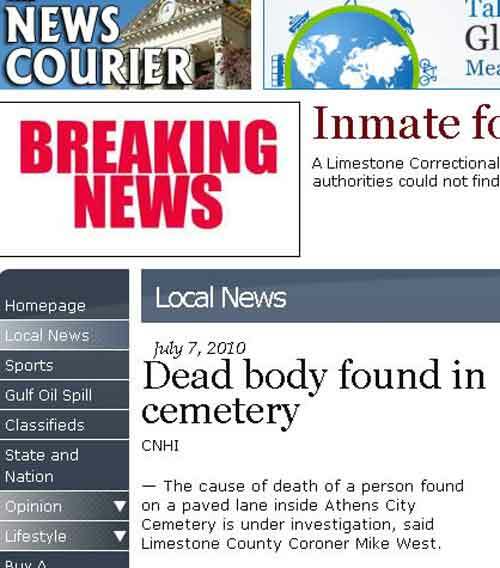 Only they didn't get my newspaper jokes. Hilarious, right? Today I watched as a student furrowed his eyebrows, scrunched his lips, and stared intently at the newspaper. "It's funny, Brad." I tried to help. "Who's Diana?" was his only response. DO YOU SEE WHAT I'M WORKING WITH HERE, PEOPLE?!? 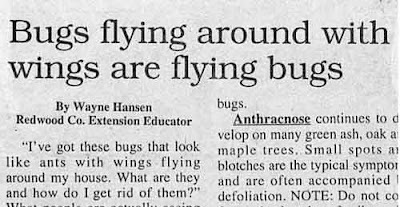 I figured since my efforts to find hilarious newspaper headlines were obviously in vain, I would at least share them with my blogging buddies. You guys will see the humor in these, right? Ah, reminds me so much of Price, the little hick town where I grew up. If those newspaper headlines didn't cheer you up, just remember- it's a three day weekend. 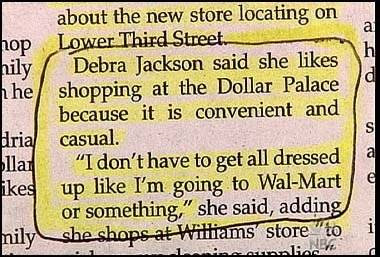 Haha... " I dont have to get all dressed up like I am going to Wal-Mart"
Seriously chuckled out loud a few times! Thanks for sharing your funny finds!! 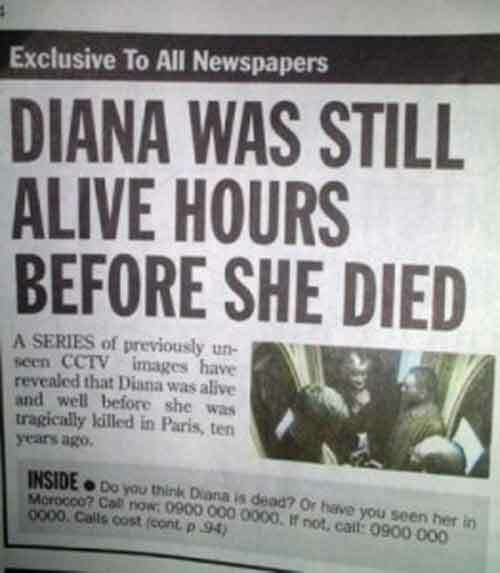 Wait... Diana was alive? 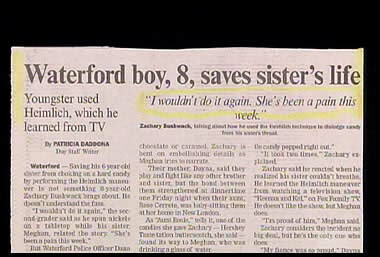 Before she died??? Why are kids ding-dongs?! Those were awesome one-liners. oh my godddddd this just made my night! I also had to giggle when you said "My students are idiot." hehe! typos crack me up. oh just the laugh i needed. you're an angel. As a student, I would have just been too furious over the fact that I had to be at school to find any humor in these, but right now.. I'm a student & i'm finding so much humor in these! Thanks for posting! Hahahaha! These were so funny! 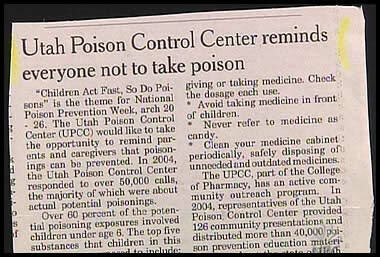 Not sure how they could not catch the humor in these headlines! It was only a burrito?!?!?! Oh my goodness, how big was that thing??? These are such a kick! Not too surprised that your student didn't know who Diana was (I assume you filled him in?? ), since it was a little bit "before his time". But still. Kids should known what the name 'Diana' means. 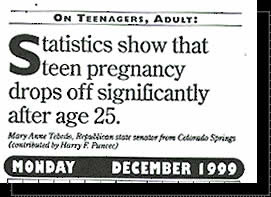 The "teen pregnancy rates drop off after age 25" gets me every time! Thanks so much for making me smile! every single one of these is hilarious. thanks for the laugh! did you find these on a website somewhere? These just made my day! I do love a good laugh! can't stop laughing. i'm dying here. 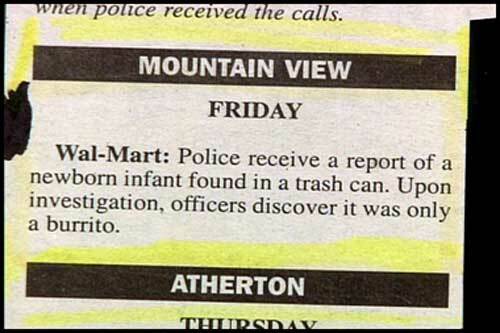 the baby was only a burrito? some people..
...because who does yard work without a hula-hoop? Not me, that's for sure. 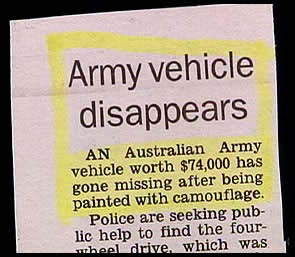 Camouflage?!?! 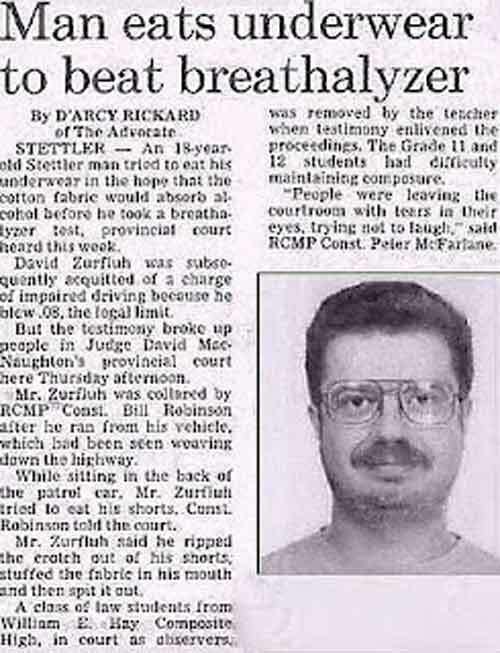 haha reminds me of byu's police beat. Love this stuff! Oh brilliant, what a giggle to start the day. Way too funny! Thanks for posting these--started my day off with a smile! I appreciate this way too much! So funny! I totally laughed out loud at those, thanks for sharing! 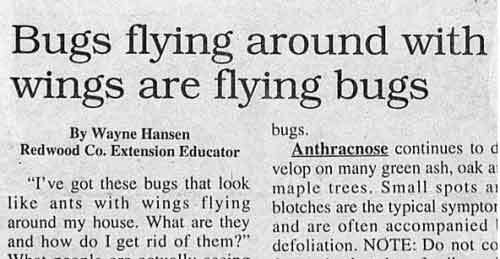 So while your students did not find these very funny my kids and I for sure did. Why yes, they were only laughing because I was but that just shows how hard I was laughing! Great findings! LOL - I can't pick a favorite, they are all great! 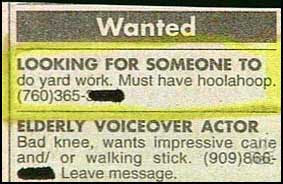 Ok, the 'must have hoolahoop' has me wondering! HAHAHAHA!!! I literally just spewed my energy drink! Your poor students are missing out on some serious joy in their lives. hahaha These are pretty funny! As twisted as it is I love the burrito one the most. Completely cracked me up. Give your students a week. 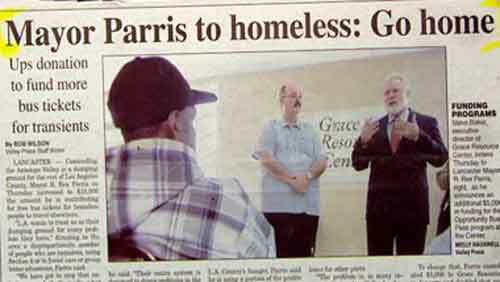 . . maybe they'll "get it" by next Friday. 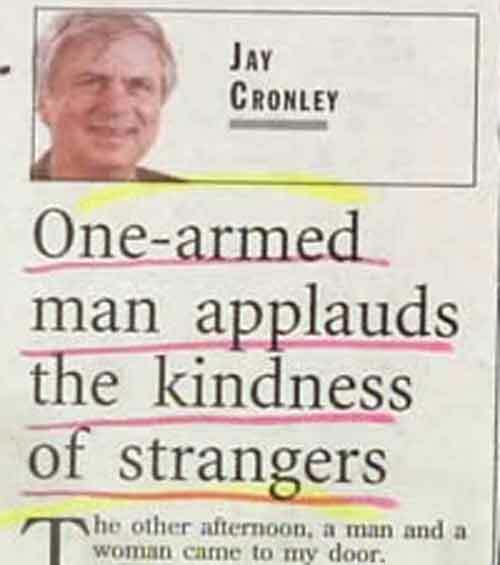 I really need to read the newspaper more! I LOVE reading and making fun of stuff like this, too. I always like when jay Leno does it on his show! These are too great. This was so hilarious! 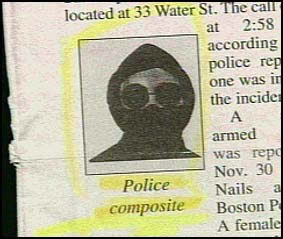 I think my favorite was "Homicide victims rarely talk to police." Thanks for the laughs!! Oh My Gosh - This is by far the highlight of my 3 day weekend! 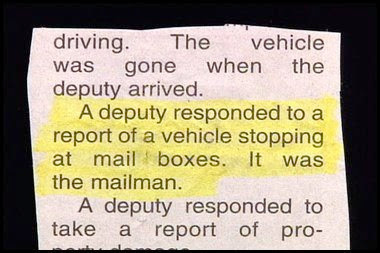 I just laughed for 4 minutes straight - sounds JUST like the city I live in right now. Oh ME! I would love to share your post at my blog www.eatloveinspire.blogspot.com let me know if you would be interested! It's about publishing technology and how it changed our economy and transformed the way Americans read today. hahahahaha this made my day. I APPRECIATE YOU! haha loved it! it's so sad that this is wasted on your students. don't worry- we get it! these seriously made laugh I had to read them to my hubby... Your students are crazy for not thinking these are funny! Love it!! These had me laughing... a lot! A post in which I whine a lot. Past Bonnie is such a brat. On marriage being work. Because it is.